Over the past few weeks, I’ve seen “best of 2018” lists everywhere. Books, albums, celebrities, you name it, there’s a list for it. I love this concept in theory, yet in reality it doesn’t work for me. At the end of my first blogging year, I attempted a “Best Books I’ve Read This Year” post. Maybe five minutes into my list-making, I was frustrated and gave up on the idea completely. I’ve previously ranted about my displeasure with “best of” awards and lists. “Best” is such a subjective term, it seems more fair to call it a “most popular” list. My problem is, I genuinely want to give my readers a breakdown of my year of reading. 158 books completed, across many different genres, is difficult to break down to what is “best.” So instead, I came up with a way to acknowledge the books that moved me most across the various genres. 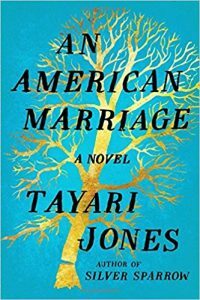 Way back in May, I wrote about An American Marriage Tayari Jones, by as my favorite book of the year thus far. I’m sticking by that. Everything about this novel is stunning. It’s a fascinating exploration of not only the two people in one marriage, but several individual lives. It showcases how intertwined our lives are with the people around us. It had me contemplating marriage, divorce, life and death, family, friendship, justice and revenge. When I finished, my heart was all stirred up and my head was spinning. 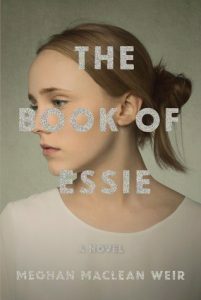 The Book of Essie by Meghan Maclean Weir is a very close second. I was surprised by the intense beauty in the story and absolutely fell in love with the main characters. The subject matter is at times difficult, and I promise this will be a gut wrenching read for anyone, but ultimately it is so worth it. The writing is gorgeous and the story is unbelievably compelling. 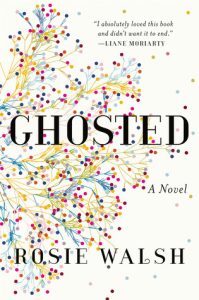 Ghosted by Rosie Walsh has a misleading title! It quickly becomes apparent there is more going on with Sarah and Eddie than simply a guy choosing not to call. As the story unfolds, the reader gets bits and pieces of a truly compelling story. It’s part romance, part mystery, and part family drama. Even at their worst, the characters are lovable! The writing is sharp and witty, with rich details and sensory descriptions. The reader gets a genuine feel for this small English town and the history there. Historically, I don’t seem to ejoy novels set in bookstores, so The Storied Life of A.J. 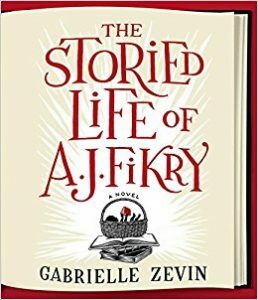 Fikry by Gabrielle Zevin was a wonderful exception. It quickly set itself apart. I loved how all the characters lives became intertwined on the island, and around the bookstore. It’s a sweet story yet not unrealistically so. Zevin perfectly captures what it’s like to live a life built around a love of reading and sharing that with others. I appreciate the message of how much power there can be I the shared love of books. 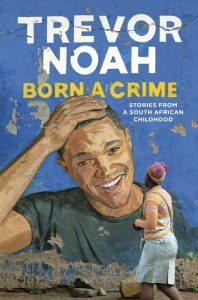 Born a Crime by Trevor Noah affected me in a way that the other 157 books from 2018 were unable. I learned so much from this book, I am horrified I wasn’t aware of it before. Starting before he was even conceived, Trevor paints vivid portraits of his mother and grandmother with superb writing and rich imagery of apartheid. South Africa is a major character Trevor’s stories, and he describes apartheid with great factual detail and emotional commentary. At times heartbreaking and other times laugh out loud hilarious, Trevor’s storytelling and narration left me in awe, and I was sad when it was over – I wanted to know more. 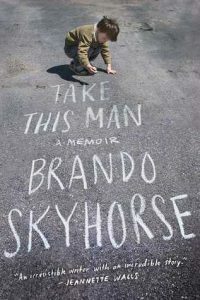 Take This Man by Brando Skyhorse is hands down one of the most powerful memoirs I’ve encountered, because resonates with me deeply in regard to my own childhood and family history. Skyhorse chronicles his childhood with humor and raw honest reflection. Growing up with five stepfathers and a mother who was delusional and selfish, Brando is constantly questioning who he is and bounces between love and resenting his mom, who seems determined to not allow him to have a genuine father. 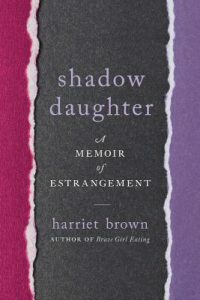 Shadow Daughter by Harriet Brown is part memoir, part social history on the phenomenon of family estrangement. Brown shares the story of her own estrangement from her mother with honesty and grace. I can only imagine how painful yet cathartic it was for her to complete this book. Her personal anecdotes are woven with research and interviews, which come together to create a heart wrenching story, as well as an excellent resource for others. 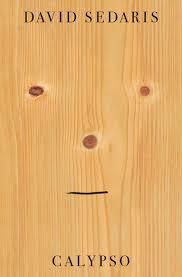 Calypso is David Sedaris at his very best. He manages to be snarky and self deprecating, while making sense of tragedy and grief. His reflection on and appreciation of his family are more clear here than we’ve seen in his previous works. He shows his own flaws and is unabashedly himself at all times, which is what I’ve always loved about his writing. The humor is wonderfully crass and I laughed until my abs hurt. 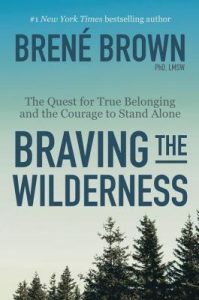 I recently mentioned how Braving the Wilderness by Brene Brown has been relevant in my new found sobriety. As always, she honestly shares her own experiences, and the dedication she has to researching a topic is clear. Her language is straightforward in explaining complex concepts, and she is up front about people who disagree with her. If you are continually looking at signs that you don’t “fit in,” and craving belonging, this book will point you in the right direction. It’s clear that in a time when our nation (and world) feels more divided than ever, there are ways to bridge those divides without compromising our own values. 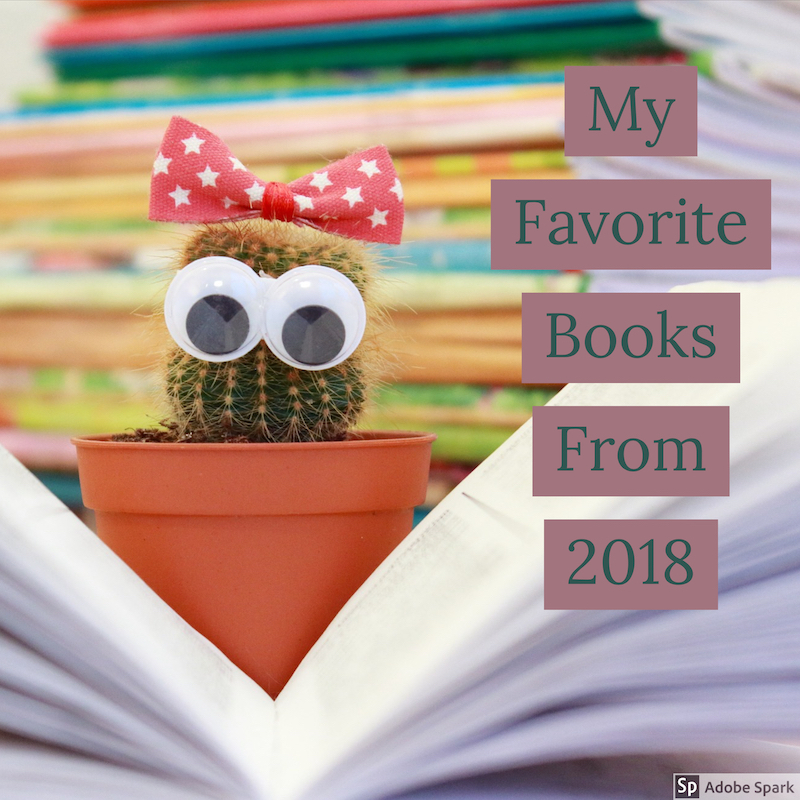 What were your favorite reads in 2018? Were any of mine on your list? !